Light-emitting diodes (LEDs) were found by NASA to stimulate plant growth in space. LED light in different wavelength colors is used to treat many skin-related issues, such as acne, wound healing and collagen stimulation. The Food and Drug Administration has approved LED light therapy in cosmetic applications because it carries no risk of overexposure or eye injury. LED light systems are used in doctors' offices, spas and salons. You can buy LED light systems for home use. Each LED light color penetrates the skin differently. Blue light is an antibacterial agent. Red light is an anti-inflammatory. Near-infared light stimulates cell activity and increases production of collagen and elastin. Yellow light helps the lymph system to detoxify your body. Green light increases melanin production and reduces redness. Two colors of LED light are used in the treatment of acne. The red light reduces the inflammation; the blue light helps to kill the bacteria causing acne breakouts. Manufacturers of these light therapies recommend 15 to 20 minutes a day for eight to 12 weeks to see results. A handheld LED light can be used at home consistently. LED red and infrared light is used for smoothing fine lines and wrinkles. The penetrating light waves of the red and infrared light stimulate your body's natural production of collagen and elastin. The stimulation of collagen plumps up skin. The LED red light has an overall lifting effect and improves tone and texture. Treatment with LED therapy is simple and painless. There are different delivery systems for LED light: handheld models, models you place over affected areas, and some units that are placed on tabletops. Units can be strapped in place directly over the area needing treatment. LED light has no harmful side effects, so the light can be placed close to your skin surface. Available in salons, spas and doctors' offices, the LumiLift system by Soli-tone is a powerful LED red light system that simulates your cells' ability to repair themselves. The LumiLift system tightens and lifts muscles. This LED smooths wrinkles and makes your maintenence creams and serums penetrate better. This system by Soli-tone is also only available professionally. This unique photo facial platform can provide blue light for acne, yellow light for detoxifying and healing, green light to reduce redness, and red light to increase collagen production. What Is a Hydration Station Tanning Bed? Can LED Light Get Rid of Brown Spots on Skin? 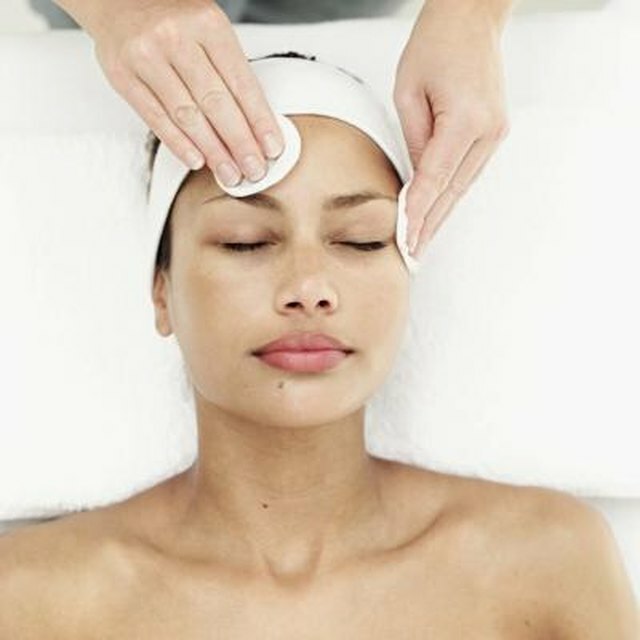 What Are the Different Types of Facials Available at Spas?